Did you see the mirror hour 17:17 and want to find out what this double mirror hour means? Here we are going to provide you with all the information you need to interpret the hour 17:17 with the help of several divinatory tools. To start with, you will be given a complete interpretation of the mirror hour using the angels. Angelology allows us to analyze mirror hours. This will help you to translate the angelic message which was sent to your subconscious. You will also learn what 17:17 means in numerology and the Tarot. When we see this kind of phenomenon of synchronicity, it may cause us to ask a serious amount of questions. Here you will be given the opportunity to better comprehend the meaning of the sign sent to you. If you have any particular experience of the hour 17:17, then please feel free to share it with us in the comments. When your guardian angel communicates with you with the help of the mirror hour 17:17, he is sending you an important message. You are going to be very lucky! Not only this, but fate will give you a helping hand which will support you in managing or improving your current situation whether it be romantically or professionally. You enjoy challenges and everything points to you having the willpower necessary to reach or surpass the goals that you've set. But you should stay humble when you talk about yourself. If you don’t, your ego risks causing you problems and isolating you from other people. You are going to have original ideas which will allow you to assert yourself. It is undeniable that you possess a great amount of creativity and that the potential of your imagination is limitless! One of your strong points is that you are never where people expect. You often have a head start which allows you to rise above the crowd. But take care not to always live with your head in the clouds, or else risk drowning in illusion and lies. You have a gift for embellishing the truth with your own life experiences, but you sometimes do this a bit too much which can cause you to lose credibility. The guardian angel corresponding with 17:17 is Imamiah whose period of influence is between 17:00 and 17:20. He is the symbol of patronage and honor! He gives you respect for your adversaries and teaches you not to underestimate them. This angel is a powerful protector for people who are trapped, as well as those who travel. He fills you with positive energy which will allow you to surpass your limits. If you pray to him, he will give you the courage you need to handle any difficult situation. What does 17:17 mean in Numerology? The total value of the mirror hour 17:17 is 34, a number which encourages you to look within. This involves giving yourself the time necessary to gain a better understanding of yourself. This is of the utmost importance if you want to develop spiritually. The road towards complete awareness requires that you let go of matters within your past and future. It is only the present moment and what it brings to you that matters. Upon realizing this you will be able to develop your creative side and feed your imagination. Meditation will allow new concepts to take form and will help you to develop your artistic talents. Things will also be made easier in the realm of spirituality. You have an ability to analyze things which allows you to study many areas of the divinatory arts such as astrology and cartomancy, but it is in mesmerism that you will develop the most quickly. If everything is positive in the spiritual aspect of your life, then this is less evident on the material side. You are going to face some difficulties. They will be fleeting, but you should keep a tough skin. You are going to feel trapped but you will manage to overcome these challenges. 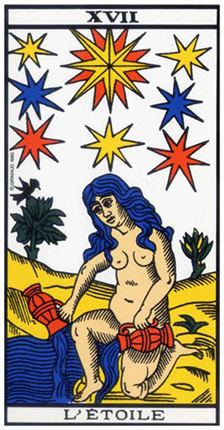 The Tarot card corresponding to 17:17 is the Star! This card symbolizes protection and kindness. With her, hope is possible, and your future looks positive. In love she suggests seduction and tenderness. She represents a kind of harmony in your relationships. If this Arcanum appears in your reading, it provides you with some form of enlightenment. It shows you that the course of events will turn in your favor. 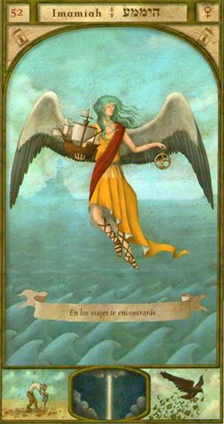 She represents the lucky star which watches over your relationship or your professional endeavors. She highlights the creative aspect of your life, as well as your ability to form healthy relationships with those around you. On the whole this is a positive card, but it can mean that you are focused too inwardly and that your confidence in yourself may give others the impression that you feel superior to them. In love, the Star suggests the fulfillment of your emotional life. Your relationship will be stable and filled with strong feelings. You will manage to create great things with your partner! On the professional level you should receive the protection of someone in a high position who will help you to develop more quickly. Success is on the way! By extent this will play a positive role in your financial security. You will finally be given the safety and support you need to escape the problems that you are currently facing. 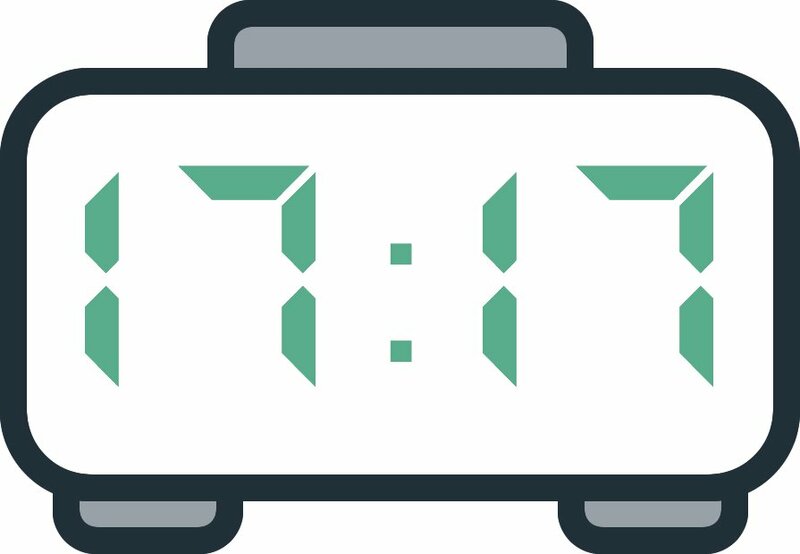 Any comment on the 17:17 mirror hour? Thank you so much for the advice, it resonates me a lot. I love to paint and more. I missed these wonderful activities but now the time has come to revive them. I have a course to start that I have postponed, on the mandala and prorio the night between 24 and 25 I had a clear vision opening my eyes, mandala of the cobalt blue flower of life. I felt indescribable peace and gratitude. Almost thrice a week i saw this number 17:17. I got no idea why I’m seeing this repeated number not only once but thrice. Is not co-incident. I tried to wrote what date I have been seeing this number. 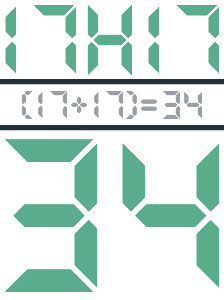 On my handphone and a digital clock. Any sign trying to tell me? Thank you so much. This is right where I am and is perfect timing with the questions I had. I am in deep sorrow and pain…. That was incredible – I’ll explore Mirror Hour for more gems like this. Lots of untapped knowledge. What a wonderful way of communication! I am sure 100% you are around me! Every time i have a question or problem, here comes the hours!!! I am so thankful from my heart to your light and love. Thank you, I love you my Divines! I am blessed and protected! Same here today in Estonian time I see time 17:17.